JenniferDary.com: SOMEONE likes it when I work from home. 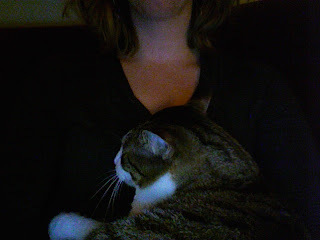 And by likes it, I mean crawls in between me and the keyboard and insists on farting in my face. fedex that cat to me right now! Yea. That's definitely Stan. Haha. Hope Oscar is doing good. We should introduce them one day.